I have never written anything political on this blog - ever - but I could no longer keep quiet. In an era when the Republican and Democrat party canditates are about as pleasing to me as mud on my shoes, I decided it was time to speak up. In the beginning, when it looked as if Trump and Hilary were going to be the only two 'real' party candidates, I was going to opt out. There was only so much screaming, lying and blaming that I could take. 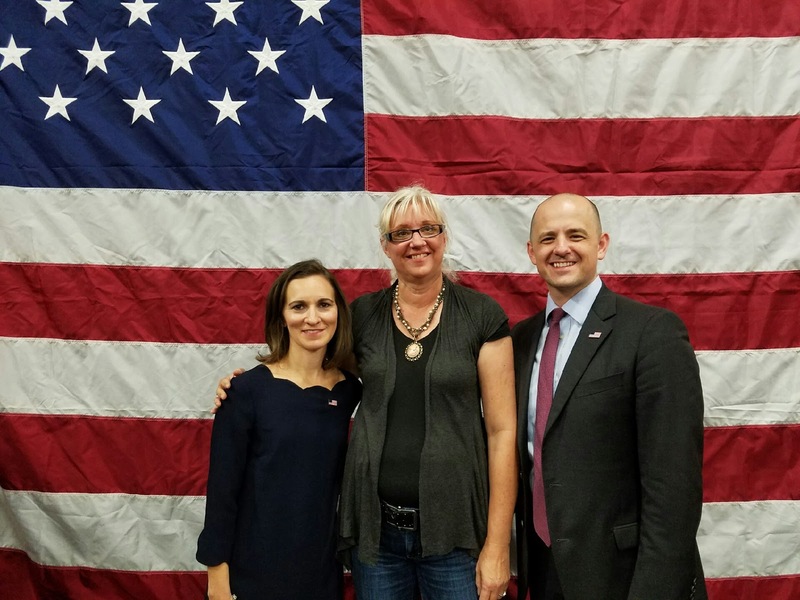 When Evan McMullin stepped up to the plate only two months ago, I was struck with awe mostly. I had been praying to know what to do, and suddenly, there he was in true red, white and blue. Truth is important to me. Having someone stand at the head of our country that I can be proud to stand at the head of our country, is important to me. Someone who can speak to the public civily and with wisdom and 'smarts' is important to me. Who wants to be embarrassed by the President of the United States? I want someone who is intelligent, and who can answer questions intelligently without a slew of mud slinging. I want someone who cares more about the people than himself. Who is humble about what he's done and who keeps his promises. I want someone who will be a leader of the American people.